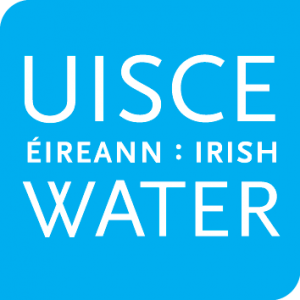 Irish Water, working in partnership with Cork County Council, is carrying out a major wastewater project in the Cork Lower Harbour area. Ward & Burke Group Limited is working on behalf of Irish Water to deliver this project. Permanent reinstatement works began in the Glenbrook area as part of the Cork Lower Harbour Main Drainage Project on Thursday 28 March and are proceeding well. Next week, permanent reinstatement works will continue on the R610, from its junction with the N28 at Raffeen, towards Monkstown. Works will start each day at 7am and continue to 7pm from Monday to Friday and traffic flows will be maintained using a stop and go traffic management system. This will be carefully monitored at all times and in particular during morning and evening rush hour times to ensure that there will be no lengthy delays. These permanent reinstatement works will be ongoing between Thursday 28 March and Friday 19 April and we will continue to update you weekly during this period in relation to the specific location and duration of the works. As always, we will endeavour to minimise disruption in the completion of these necessary works, as we did in the completion of the recent works at Glenbrook, where the length of time required for the full road closure was reduced significantly, from 7 weeks to 4 weeks. There are no road closures planned on the R610 or N28 for this final road surfacing, as these works will be completed using a stop and go traffic management system. Applications for the above road closures have been made by the Contractor, Ward & Burke Group Limited, to Cork County Council as the relevant Roads Authority, and these have been granted. Irish Water appreciate that while there will be some delays associated with this final road surfacing, we are committed to delivering these works with the minimum of disruption to residents and business and as for your patience while we complete these works. We would like to reiterate our commitment to working with the local community to minimise the impact where possible and I would like to thank you for your ongoing cooperation as we work together to deliver the Cork Lower Harbour Main Drainage Project and end the discharge of raw sewage into Cork Lower Harbour. It is expected that the Cobh to Monkstown Estuary Crossing contract will be awarded this Spring 2019 and this will be followed by the Cobh sewer network contract. We will continue to keep you updated on the progress in relation to these contracts and will let you know when these contracts are awarded. When all the Cork Lower Harbour Main Drainage works are complete in 2021, the project will treat all wastewater from Passage West, Monkstown, Ringaskiddy, Crosshaven, Carrigaline, Glenbrook, Shanbally, Coolmore and Cobh. This means 20,000 homes and businesses will be connected to the new scheme and that raw sewage will no longer be discharged into the Harbour.